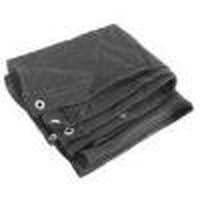 This 96″ X 24′ Black Mesh Tarp is composed of UV resistant monofilament woven mesh. Reinforced corners provide superior strength. 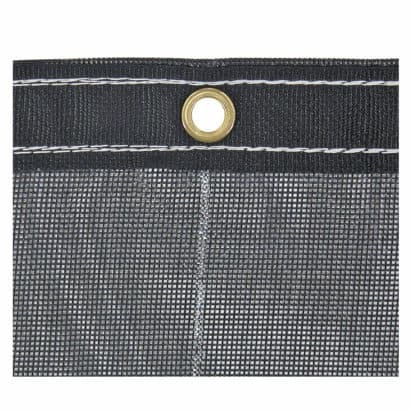 Brass grommets at each corner and at 2 foot intervals around hem provide easy access. Designed for heavy duty use in a wide range of applications. This durable tarp will perform through the toughest jobs, and makes an ideal dump bed cover.